Try these quick and healthy meals using canned beans, tuna and salmon. 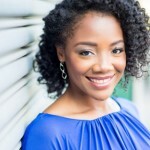 I’ve partnered with Cans Get You Cooking to share these tips and recipes. With the busy holiday season upon us, I am looking for any and every way to continue eating well while short on time and being surrounded by treats. I like to keep a few foods on hand to stay on track. Fresh and frozen fruits and vegetables, frozen seafood, grains like quinoa, rice and oats and canned beans, tuna and salmon are a few of those staples. Protein is an essential part of a healthy diet. It should make up about one-quarter of your total diet and can come from plant sources like beans, peas, tofu and nuts or seafood, lean meat and poultry. Because protein can be the most expensive and time-consuming meal component, canned options help fill the gaps. Before getting into the how to let me address the first question I often get as a registered dietitian. What about the sodium? Luckily, it’s easy to find no salt added or low sodium canned foods in the supermarket. Rinsing and draining canned beans takes the sodium reduction even further. These two steps help remove up to 40% of the sodium from the beans. So, choose the lower sodium varieties and rinse and drain as appropriate to keep sodium levels in check. 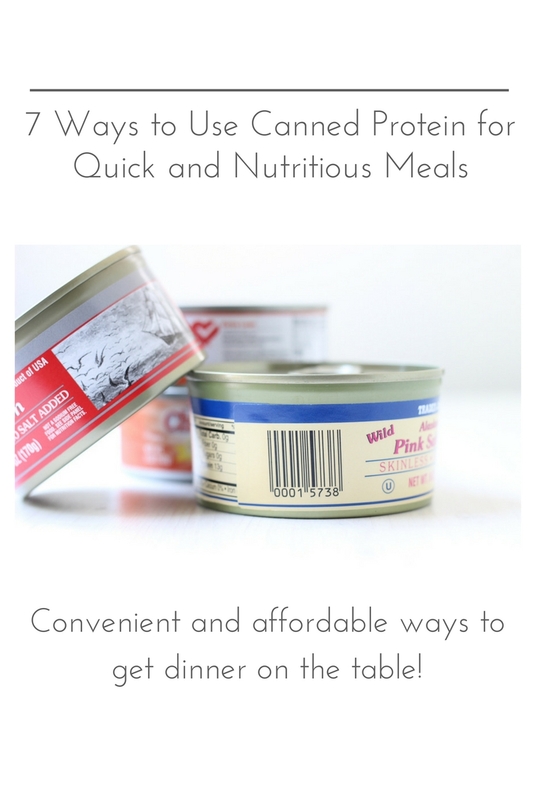 There are plenty of options but let’s start with canned beans, peas, tuna, and salmon. Yes. You can buy dried beans, soak then cook them for a couple of hours on the stove or a few hours in the slow cooker. I do this. But I also keep a few cans of black beans, chickpeas, white beans and red beans in the pantry for busy nights when I don’t have time to do that. The convenience is unbeatable. Canned seafood like tuna and salmon are other pantry staples. Truth be told, canned salmon was the first and only way I had salmon until I was in high school. My grandma used to make salmon croquettes for dinner or breakfast. Now, I make a modified version of her recipe that I’m sharing below. Though the average American eats just 2.7 ounces of seafood per week, the Dietary Guidelines for Americans recommend we eat at least 8 ounces of seafood per week. Canned tuna and salmon can help fill that gap. Cost is frequently cited as one of the top reasons people don’t eat seafood. Geography is another. I live in Atlanta. This landlocked city isn’t exactly overflowing with fresh fish. But one of the main reasons my clients say they don’t eat it is because they don’t know how to cook it. A staple for vegans and vegetarians but ideal for anyone, legumes like beans and peas are one of the first canned foods to come to mind for mealtime savers. Black Bean Nachos. Sauté rinsed and drained black beans with kale and garlic. Stack baked tortilla chips with the black bean and kale mixture, salsa and cheese for a nutritious twist on traditional nachos. Spinach and Chickpea Sauté. Heat olive oil in a medium skill. Sauté the chickpeas, spinach, and garlic until the spinach wilts, and the chickpeas are warmed through. Season with salt, pepper and smoked paprika. Enjoy this sauté as a main meal or serve it over pasta or grains. Quick Vegetarian Chili. Simmer canned tomatoes, kidney, white or red beans with chopped carrots, onions and chili powder for an easy chili. Pesto Cannellini Salad. Toss warm cannellini beans with pesto sauce and enjoy with arugula, grape tomatoes, and red onions. When it comes to canned seafood, there are several options, but I usually go for tuna and salmon. Unlike when I was growing up, today it’s easy to find boneless and skinless salmon in small cans that serve 1-2 adults. I usually buy the plain ones and dress them up with fresh ingredients, vinaigrettes, and seasonings. Lightened Up Tuna Salad. Toss drained albacore tuna with a little olive oil vinaigrette. Brighten it up with fresh spinach, lemon juice, chopped olives and roasted red peppers or any other leftover vegetables. Serve as is, over pasta or with your favorite crackers for crunch. You can use chunk light tuna the same way. Baked Salmon Cakes. Skip the fryer and make my Baked Salmon Cakes. 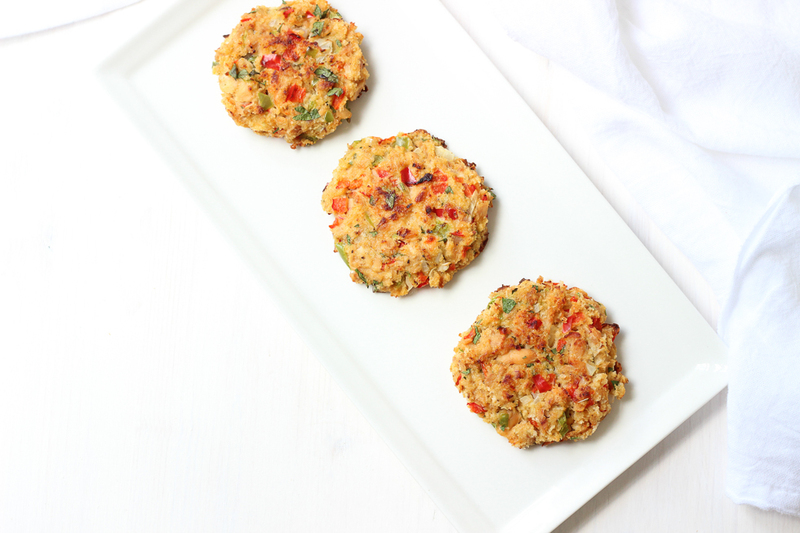 Mixed with fresh onions, peppers, and herbs, the salmon patties are packed with protein and omega-3 fatty acids. Omega-3s may help reduce inflammation and the risk of Alzheimer’s disease and rheumatoid arthritis among other conditions. Salmon Salad or Pasta. For a quick lunch or dinner, toss flaked salmon onto salad greens with your favorite dressing or into pasta with a lemon olive oil sauce and vegetables. Using canned protein is not only affordable and convenient it touches another important issue. That is sustainability. I’d guess a much higher number, but studies show that Americans throw away up to 20% of the fresh fruits and vegetable they buy each year. Metal cans are 100% recyclable, and the portions are small enough that you can buy just the right amount for your recipes. Do you ever use canned beans, tuna, or salmon in your cooking? I’d love to hear how you use any canned proteins to simplify meal times in the comments!